With the last of his trusted companions having fallen, Drizzt is alone--and free--for the first time in almost a hundred years. Guilt mingles with relief, leaving Drizzt uniquely vulnerable to the persuasions of his newest companion--Dahlia, a darkly alluring elf and the only other member of their party to survive the cataclysm at Mount Hotenow. But traveling with Dahlia is challenging in more ways than one. 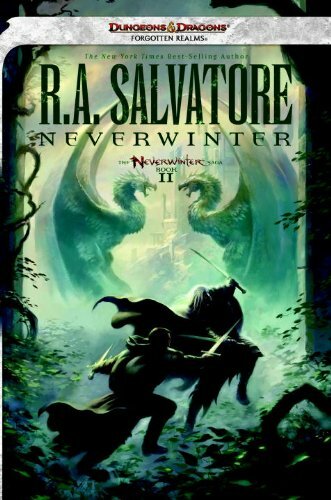 As the two companions seek revenge on the one responsible for leveling Neverwinter--and nearly Luskan as well--Drizzt finds his usual moral certainty swept away by her unconventional views. Forced to see the dark deeds that the common man may be driven to by circumstance, Drizzt begins to find himself on the wrong side of the law in an effort to protect those the law has failed. Making new enemies, as his old enemies acquire deadly allies, Drizzt and Dahlia quickly find themselves embroiled in battle--a state he's coming to enjoy a little too much.